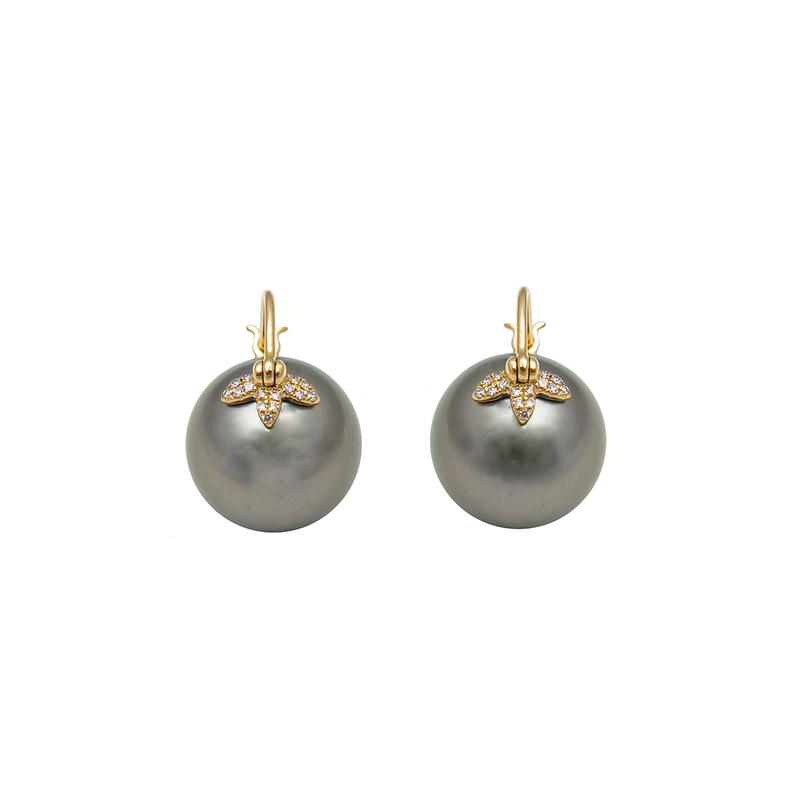 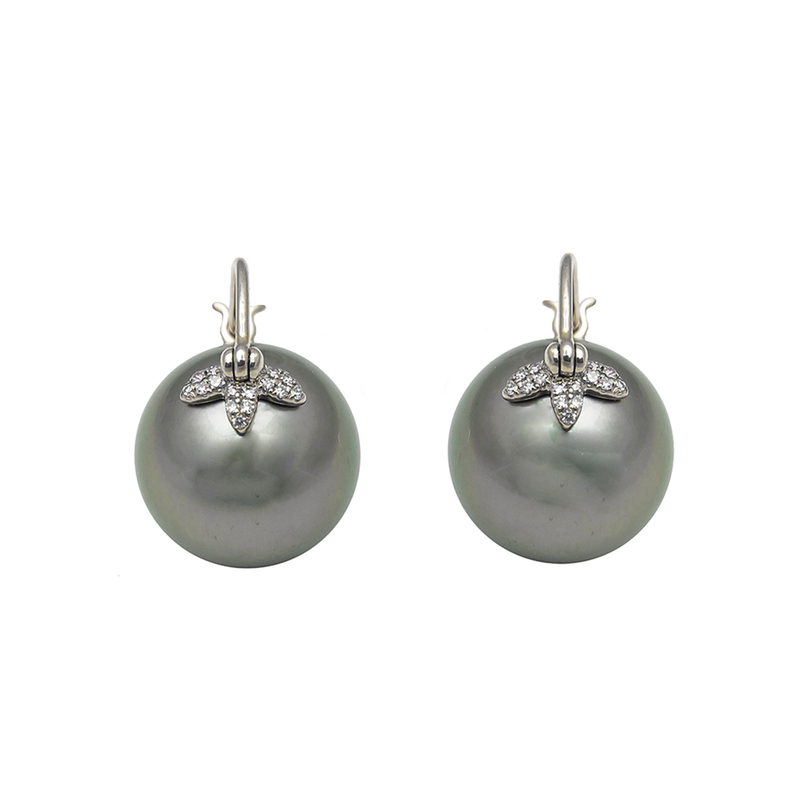 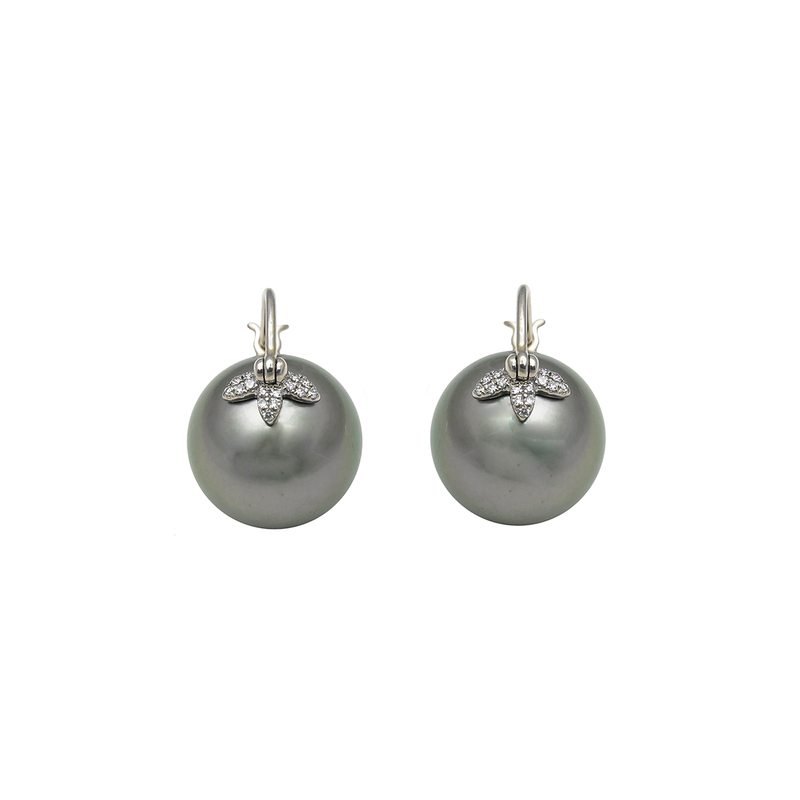 Three diamond pave leafs adorn these classic pearl earrings adding an unexpected update. 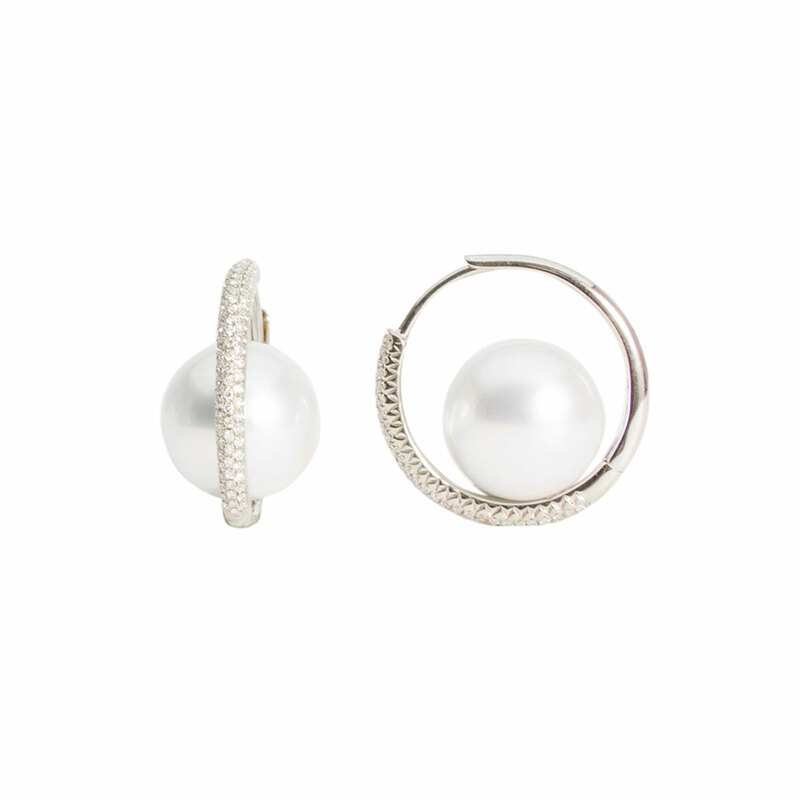 13 mm pearls. 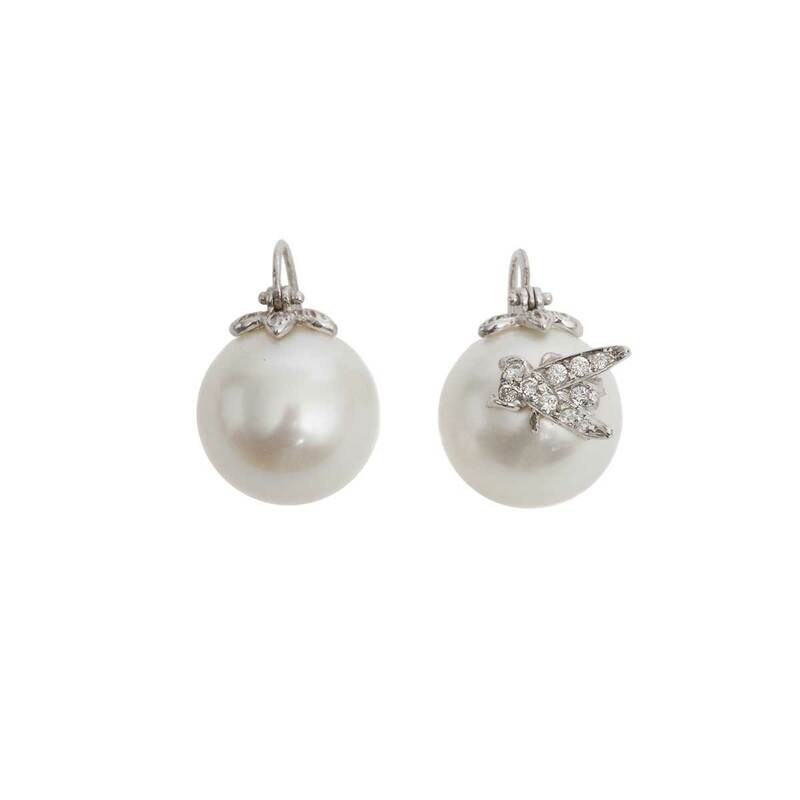 18k white gold hooks. 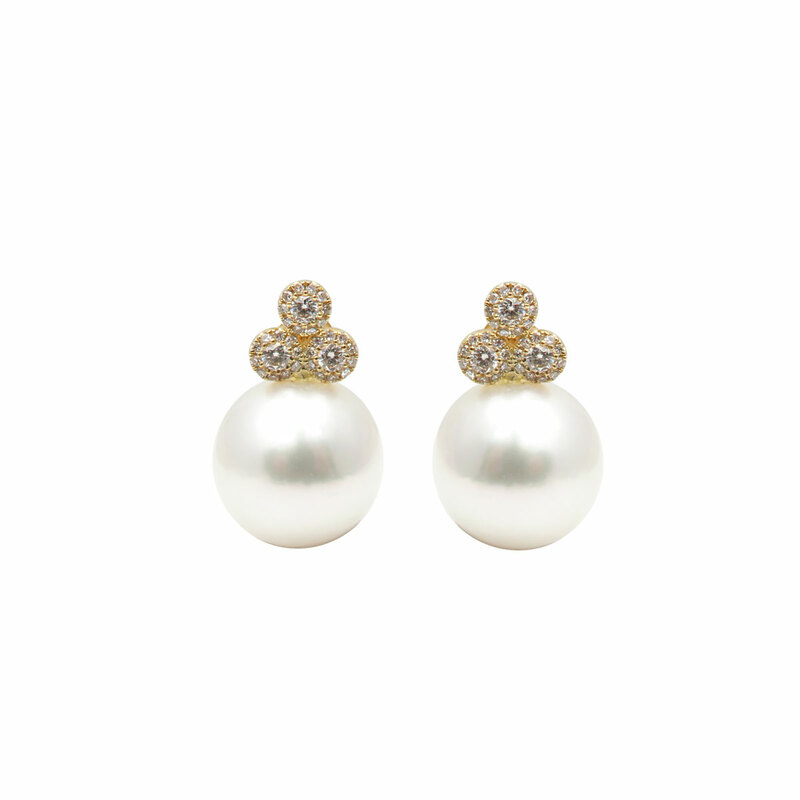 0.13 ctw diamonds.